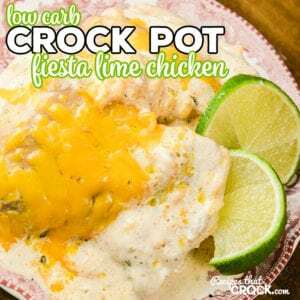 Crock Pot Fiesta Lime Chicken (Low Carb) - Recipes That Crock! 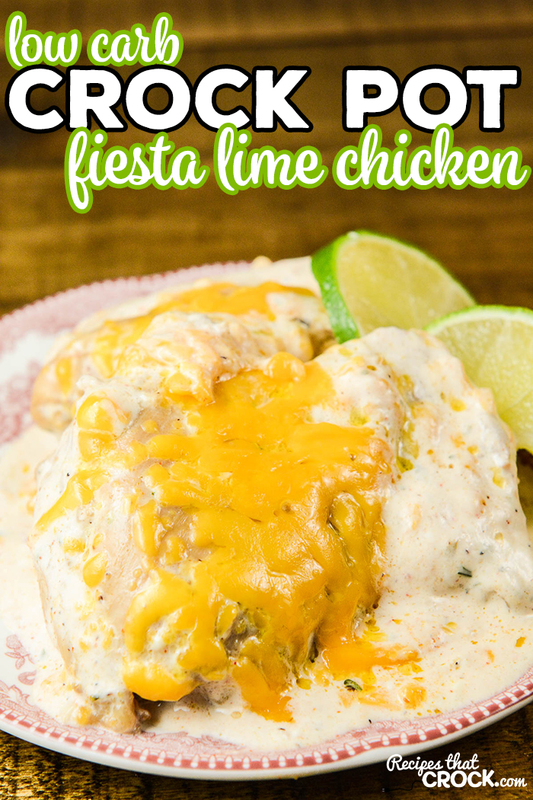 This Crock Pot Fiesta Lime Chicken is an easy low carb crock pot chicken recipe with an incredible creamy sauce. 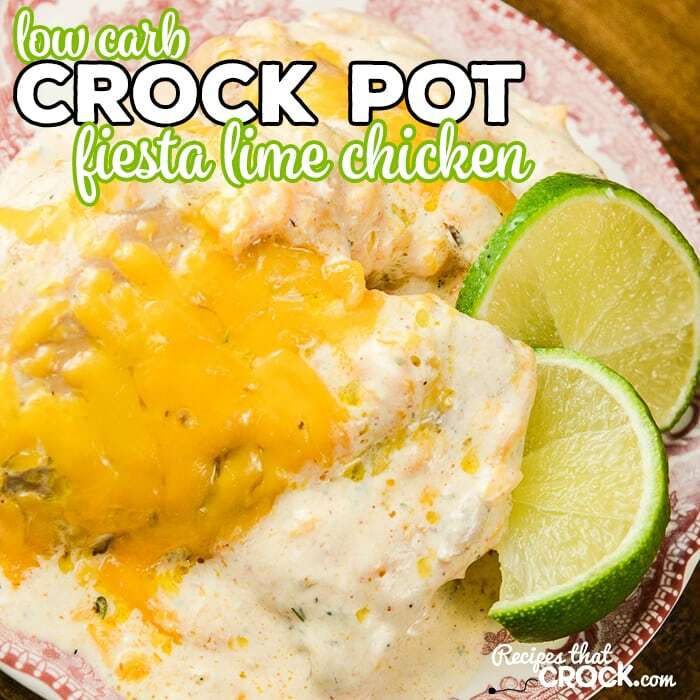 This low carb crock pot recipe is one my family has been talking about for weeks. 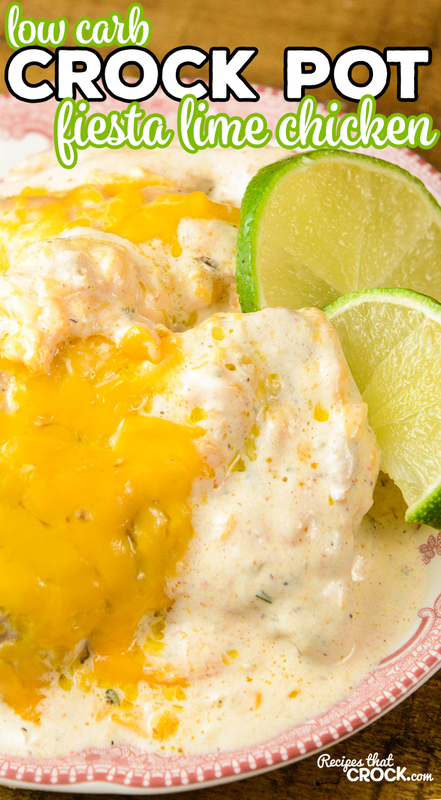 The creamy sauce in this dish is lick your plate good! 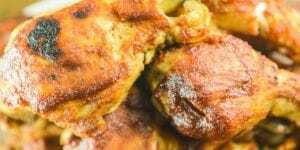 As you might imagine, my family gets to try a LOT of new recipes, so when I make something that they go on and on about, you know it is a stand out recipe! As we say around this house, this recipe is “company good”… meaning a recipe that is good enough to serve company ;). 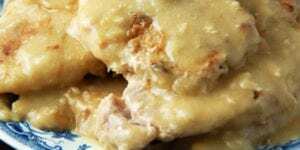 This recipe is adapted from a recipe found in one of our favorite low carb cookbooks: Keto Restaurant Favorites. You can find our complete Low Carb Recipe Library here. 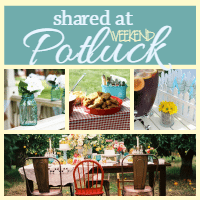 Click here to see all of our cookbook recommendations. 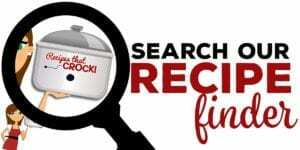 Click here to see all of our favorite Low Carb Kitchen products. 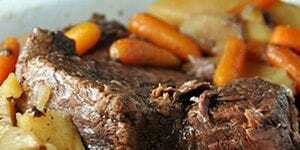 Adjust the heat in this recipe by adjusting the Cajun seasoning and hot sauce. Place the chicken in a container that can be air tight. In a bowl, combine all of the marinade ingredients and pour over top of chicken. Seal container and shake well to coat chicken entirely. Marinate in the fridge for at least and hour or up to overnight before slow cooking. 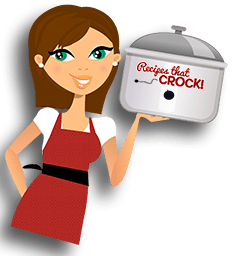 Drain the chicken and place into a 6 quart slow cooker. No additional liquid is needed. Chicken will produce its own juices. Cook on low for 4-6 hours or until fork tender. 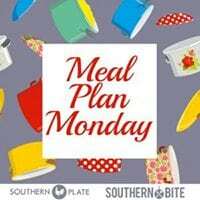 Drain chicken and place back into slow cooker. Mix together dressing ingredients except cheese and pour over top of chicken. 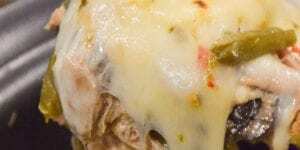 Top with cheese and cook on high until sauce is heated through and cheese melts. 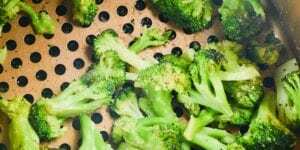 Serve with lime wedges to squeeze over portions before eating.